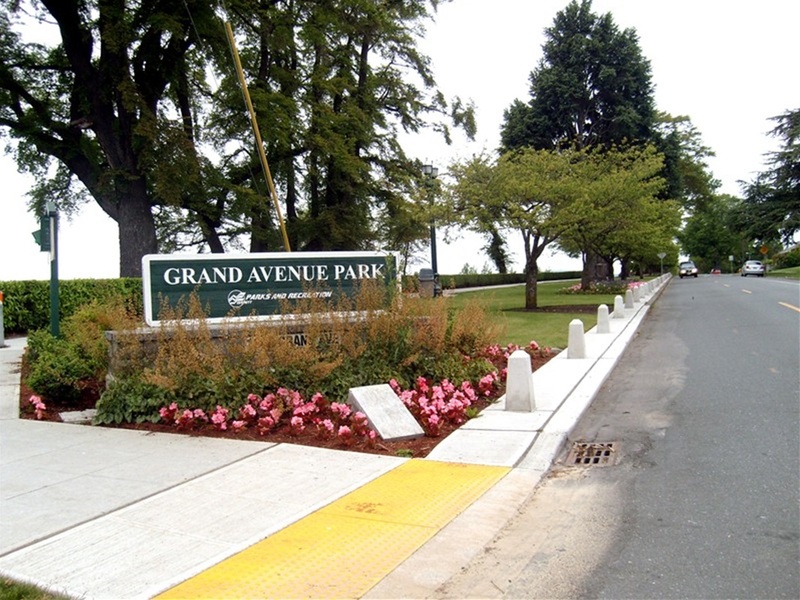 Grand Avenue was an aging park overlooking the bay in a north Everett residential district. Our primary focus was to emphasize the spectacular sound view by developing key overlook points to enhance this beautiful park while minimizing long term maintenance. We developed an iconic park identity while working within the City’s limited budget. 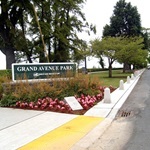 Part of the established identity of the park is derived from our selection and placement of bollards along the entire length of the park along Grand Avenue. It was also important to preserve the majestic existing tree canopy. We designed the park sign bases and pillars and incorporated artistic elements. These artistic pieces were developed within functional items of the park such as the fencing and the paving at the overlooks. Our design elements particularly related to the road frontage and signage treatment and have identified this park as an icon for this northwest neighborhood of Everett. This project was finished on time and on budget. Sidewalk and lighting at Grand Avenue Park. Viewing area with compass design in concrete paving. Entrance to Grand Avenue Park, looking south. Bollards, signage, and planting at entrance, looking north.